Building a Private Cloud infrastructure is not very easy for building a Company™s IT Infrastructure. To help the businesses, many brand and Open Source Projects offer additional information on various websites, tutorials and tools on how to How to Build a Private Cloud. As a continuation of previous article on Private Cloud Platform Selection, here is a dedicated article on How to Build a Private Cloud. 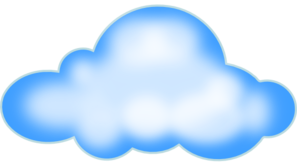 A major point for private cloud is the IT skill needed for cloud computing. Enterprises and their executives are also needs the detailed information for their first step in to private cloud computing. It is very important to understand a basic fact in the context of How to Build a Private Cloud is that, the software of the relevant products, if possible should be tested as trial offer for free. Among various IT skills needed for private cloud includes Hyper-V Cloud program offered by Microsoft, a reference architecture for the installation and operation of a private cloud. Other companies, who helps to build How to Build a Private Cloud includes Dell, Fujitsu, Hitachi, Hewlett-Packard, IBM and Rackspace. The hardware plus software to provide pre-configured systems with server, storage and network to show all the features. This is a great opportunity how to Build a Private Cloud. Microsoft has a Virtual Academy (MVA), as a free online training portal, IT experts from companies new knowledge and skills on the topics of cloud services. There are other offers by Microsoft as well. Fujitsu, HP all provides some kind or other trial services for the enterprises. Rackspace provides free trial as well as dedicated team who can talk with the company’s executives for understanding the need and budget. This Article Has Been Shared 3884 Times! Am trying to build private cloud for my m.tech project can u please help me out regarding this please. Cite this article as: Abhishek Ghosh, "How to Build a Private Cloud," in The Customize Windows, July 19, 2012, April 25, 2019, https://thecustomizewindows.com/2012/07/how-to-build-a-private-cloud/.